We’re nearing the end of June and heading into July. In that time, not only have we seen a number of new smartphone and tablet devices hit the market, companies have been releasing accessories that compliment their features, but also add a few of their own. We spoke with the guys at Studio Neat back in May, chronicling the success of its Comsonaut tablet stylus after it was successfully funded on Kickstarter in April 2011 and went on sale at the end of last year. However, with the release of iPad app Paper and the success of Zynga’s newly-acquired Draw Something apps, we felt that the input tool deserved to be included in the list. Why? Because demand for drawing apps translated into demand for stylus products, and the Cosmonaut seemed to be the tool that everyone wanted. Many styli are designed to look and feel like a pen, but writing on tablets isn’t the same as using a pen or a pencil. Modelled on a dry erase marker, the Cosmonaut feels great in the hand and can be used for note-taking, sketching and can replace your finger when you want to type on the keyboard. Although it’s not available to hold in your hand as yet, the Pebble Smartwatch has captured the imaginations of smartphone owners all over the world thanks to a successful $10 million Kickstarter funding campaign which saw it sell all 85,000 units available. The Pebble Smartwatch is (of course) a wristwatch, but it can be customized with apps, can display different watchfaces and deliver notifications. Because it’s predominantly powered by your iPhone or Android smartphone, data from apps can be transferred to the Pebble via a Bluetooth connection. Its creators have released a Pebble SDK, allowing developers to create new apps and features for the watch. The Pebble watch will ship in early 2013 and you can preorder it for $150. Launching back in April in the US for $99 and now available to purchase in the UK, Logitech’s Ultrathin Keyboard Cover is a slick iPad accessory that turns your tablet into more of a notebook, offering shortcuts and full keyboard input whilst protecting it on your travels. Give this accessory one full charge and it will operate for 6 months without needing another. If you travel a lot or you need an easy way to take notes without carrying around your notebook, the Ultrathin Keyboard Cover is one of the best solutions we have found. 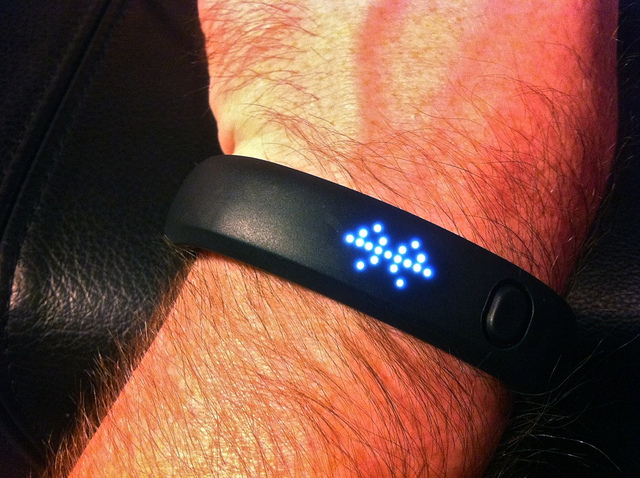 The Nike+ FuelBand, in a nutshell, is a wristband that tracks and measures every movement you make. It’s also Nike’s attempt to expand its reach beyond the serious runners and keep-fit freaks, and into the realm of everyday activities. We went hands-on with it back in March. It has even invented a new metric called NikeFuel which, used in conjunction with the FuelBand, will measure everything you do in a day and tell you how active you are. It connects not only to your computer but also to your iPhone and soon your Android smartphone. NikeFuel provides a sort of ‘scoreboard’ for your day, and it’s easy to see how this could catch on in, say, an office environment. It could work quite well as a corporate get-fit incentive scheme, where staff challenge each other to hit daily NikeFuel milestones. At $149, however, this won’t appeal to everyone – if you’re already using the Nike+ app with your iPhone, or other fitness apps such as Runkeeper, you may be perfectly happy as you are. 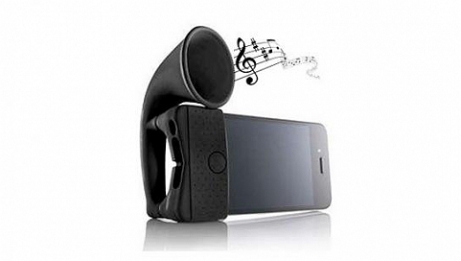 This little accessory will cost you less than $10 but it will amplify the sound generated by the speakers on your iPhone 4/4S without any additional wires or cables. Relying on only acoustics, the Wireless Ground amplifier adds an extra 12 decibels of sound pressure to your iPhone’s speakers, perfect for use when you have friends over or you need to increase the volume of a speakerphone call. Smartphones and tablets can often run out of battery at the more inopportune moments, that’s why you need a juice pack. Now, there is a wide range of external battery packs available on the market today, but the most reputable products belong to Mophie, which is famous for its iPhone charger cases. 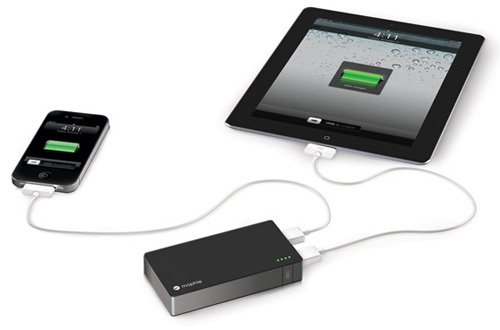 With the Mophie Juice Pack PowerStation Duo ($99.95), you can charge two devices at the same time. It only packs a 6000mAh capacity, compared with cheaper options on the market with upwards of 10,000mAh, but 2.1Amp charging and quick charge cycles, you will be well placed to get that extra bit of juice when you need it – whether its your smartphone, tablet or any other USB charging device. Do you have a problem finding your keys? Keep losing your phone? Well, you’ll probably need the Cobra Tag. The Cobra Tag ($48) has actually been around for quite a while, originally available for Android and BlackBerry devices to help people find their keys, but Cobra decided to push out a universal tag earlier in the year that can be accessed from iOS devices too (including the iPad). Not only does this mean you will be reminded that you have left your keys or important baggage behind, it will do the reverse, alerting you when you take your keys but leave your phone. 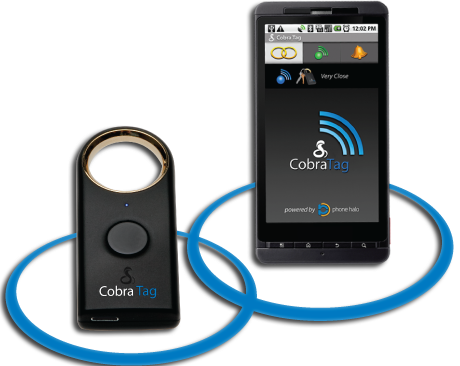 Cobra Tag app can also send you a text message, email, tweet or post that your phone and essential have been separated and a map to where you lost your phone or other belongings. Lifesaver. Of course, there will be gadgets and accessories that we haven’t added to the list. Here, we welcome your feedback. What would you add to the list?